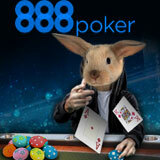 Get your ticket to the 888 Poker Easter tournaments and play for your share of $10,000 spread across four tournaments which take place over the Easter weekend. 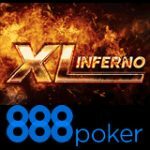 The $2,500 Easter Tournament runs daily from 3-6 April and is open to all players who make a deposit of at least $30 with the relevant 888poker promo code. 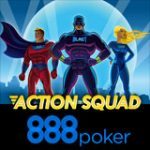 Get one tournament ticket or a ticket to all four 888 Poker Easter tournaments when reloading your account over the Easter holidays. New players can take advantage of the exclusive WSOP Freeroll 2015 on 888poker, win a Main Event prize package for FREE! Play for $10,000 in prize pools in the 888 Poker Easter tournaments, there is $2,500 guaranteed daily over the Easter weekend. The $2,500 Easter Tournament is restricted to players who deposit $30 or more with promo code. Tournament will be opened for registration 4 hours before tournament start time. 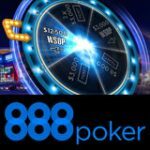 Get your ticket to the 888 Poker Easter tournaments by reloading your 888poker account with one of the following 888 poker reload bonus codes. Depositing players will be issued tournament tickets based on the promo code used and amount deposited. Deposit $30 or more and get a tournament ticket to any of the $2,500 Easter Tournaments, players may use this promo code up to four times. 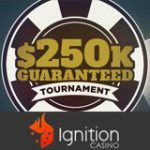 Deposit $100 or more and get a four tournament tickets to play all of the $2,500 Easter Tournaments. 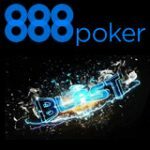 The 888 promo code is valid until 6th April and is only valid for players that have already made their first deposit on 888poker. Get your seat to the 2015 WSOP Freeroll on 888poker and win a Main Event prize package to the World Series of Poker. 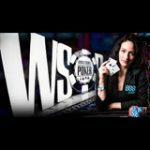 Win a 2015 WSOP Main Event prize package. This offer is exclusively for new players that make their first deposit of at least $30 at 888poker, the official sponsor of the World Series of Poker. Find out more about the WSOP Freeroll 2015 here.